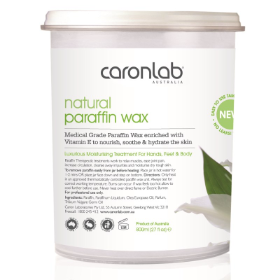 Caronlab Australia's medical grade paraffin wax enriched with Vitamin E works to relax muscles, ease joint pain, increase circulation, cleanse away impurities and moisturise dry rough skin. 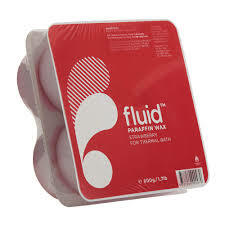 Warm Paraffin is one of the most effective ways of applying heat to reduce the swelling in muscles, decrease inflammation of joints and connective tissues-to soothe the pain from Arthritis and improve circulation. 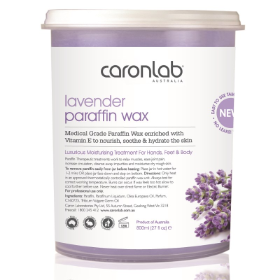 Available in peach, tea tree, mineral detox, lavender and white wax. 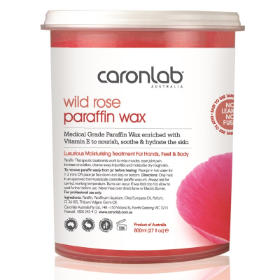 World First Self Heating Paraffin Wax - revolutionary individually wrapped, single use solution! 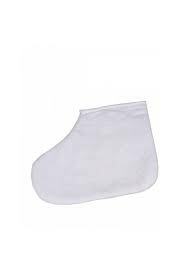 Available for: Hands and Feet. Just arrived to the UK. 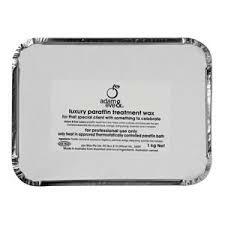 Formulated to give your clients a boost, they will love it. A deeply nourishing pedicure and manicure treatment. 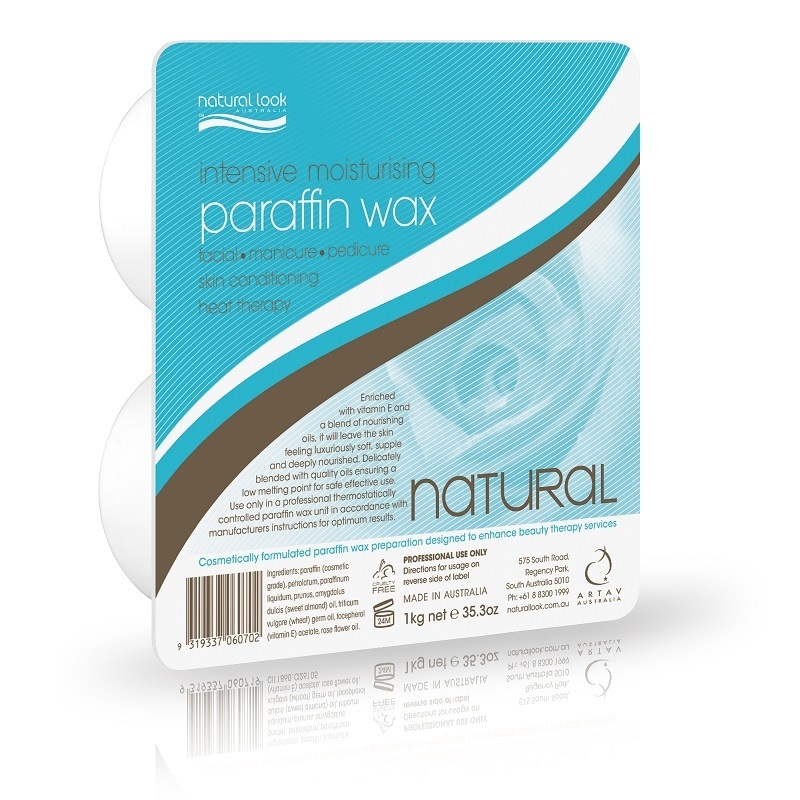 Deep moisturising treatment, helps to soften cuticles and lubricate the skin. 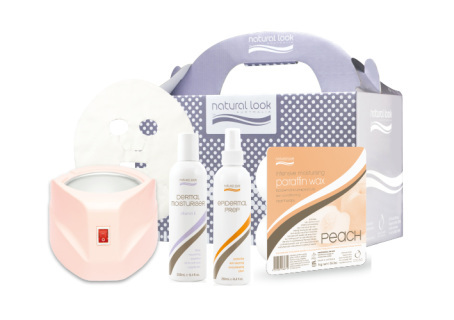 Contains pure peach kernel oil. 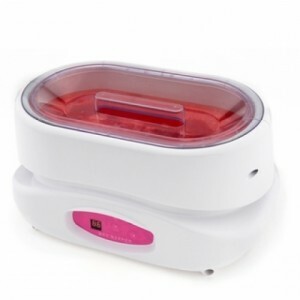 Melt in paraffin Heater/Pot for a delightful addition to any manicure or pedicure service. 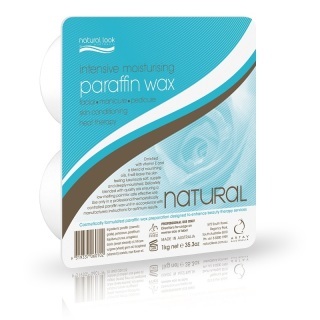 Intensive moisturising paraffin wax treatments for hands, feet and face. 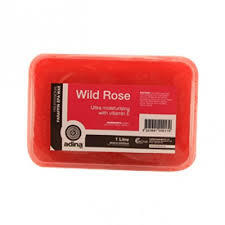 Enriched with Vitamin E and a blend of nourishing oils leaving skin feeling soft, supple and deeply nourished. 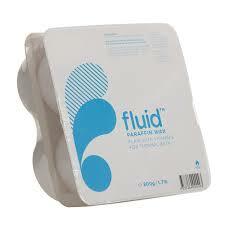 Increases the circulation and facilitates the absorption of ingredients. Plumps, firms, lifts and brightens. 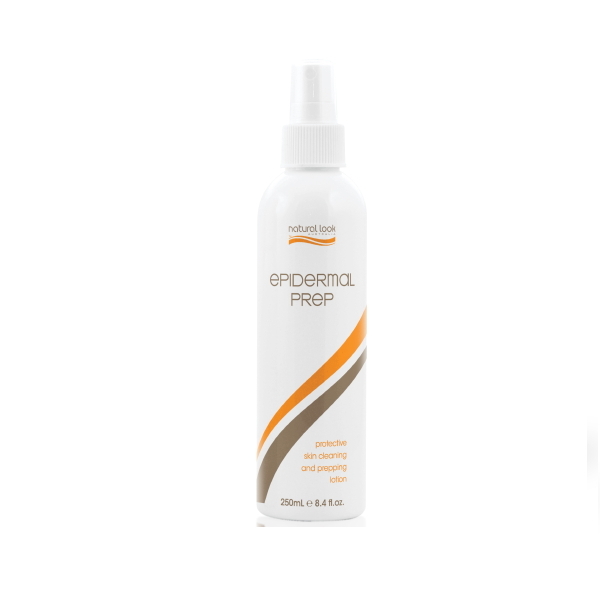 It is essential to clean and prepare the skin prior to pedicure, manicure, paraffin treatments and depilatory treatments. This product contains natural Australian Tea Tree essential oil which has anti fungal, anti viral and antibacterial properties. 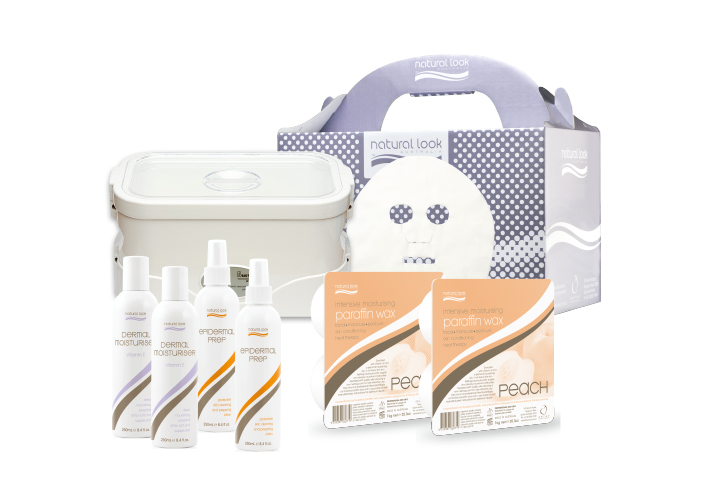 For the deepest, most intensive moisture boost to the hands, feet and elbows. 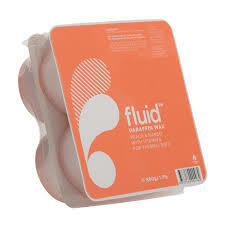 – Large sized, holds up to 3kg of wax– Perfect for hands & feet. 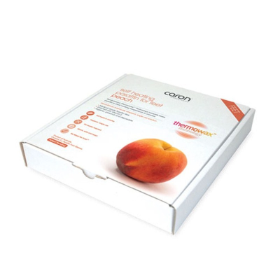 – Precise digital temperature control. 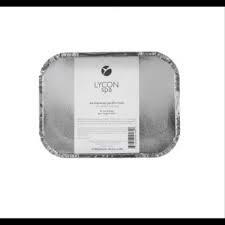 – Heats fast & holds consistent temperatures. 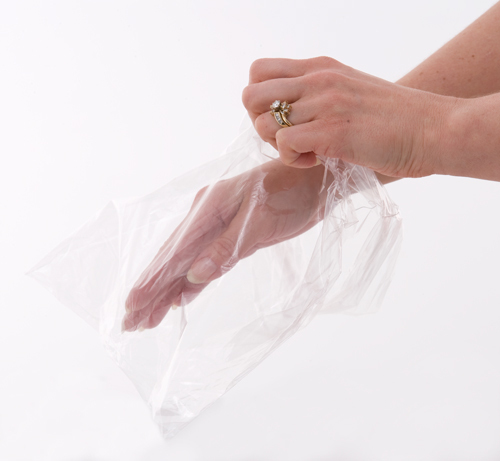 – Safety guard protects from touching the Aluminium plate. – Spill resistant lid for your safety. 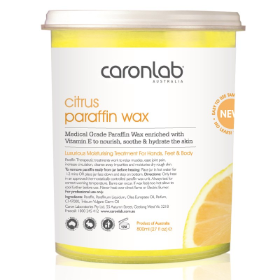 The Caronlab Australia's paraffin bath dissolves paraffin wax instantly and evenly! 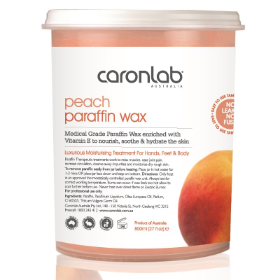 Holding over 4kg of paraffin wax, the bath is large enough to allow the insertion of hands, feet and joints, yet still small enough to fit on a counter top. 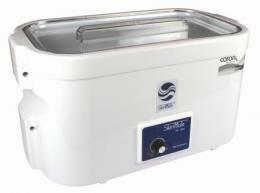 Complete with plastic lid to keep clean when not in use and fully adjustable temperature control to keep paraffin at your ideal temperature. 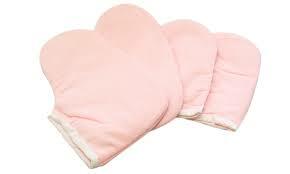 Maximum temperature of 70ºC and minimum of 30ºC. For the deepest, most intensive moisture boost to the hands, feet and elbows. 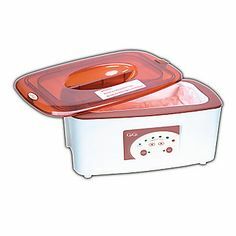 To turn any Manicure or Pedicure service into deluxe service treatment, pamper your clients with a luxurious warming paraffin bath.